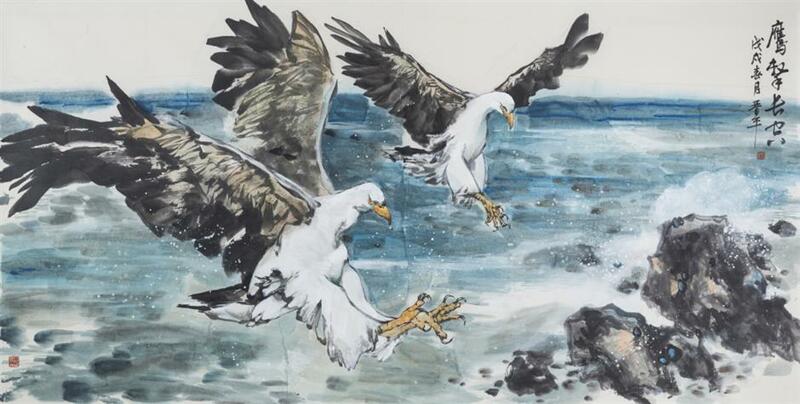 An unusual exhibition featuring a fusion of traditional ink-wash paintings is underway at the Liu Haisu Art Museum. 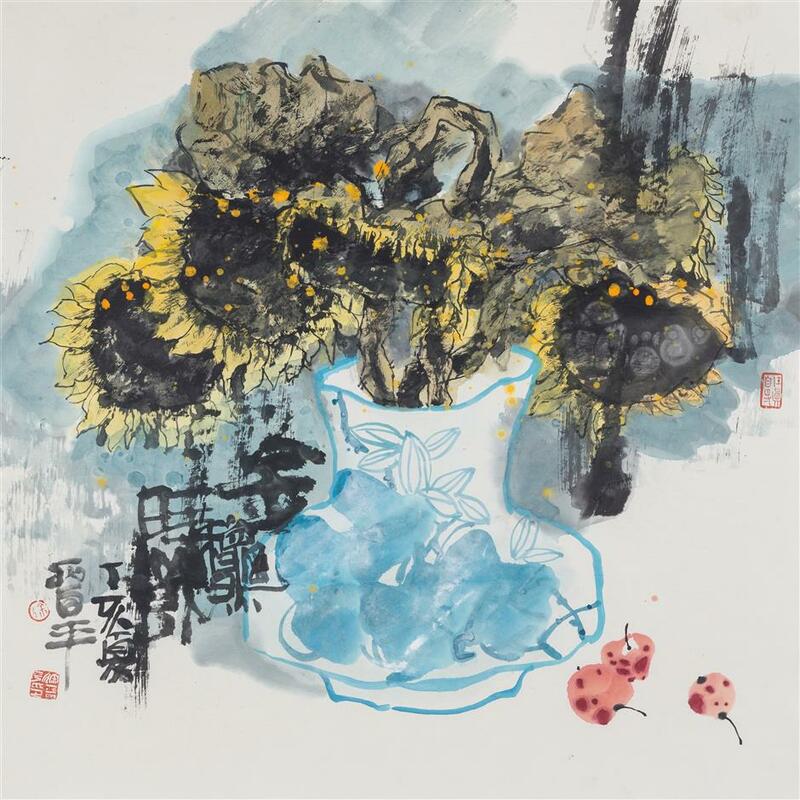 An unusual solo exhibition featuring a fusion of East-meets-West traditional ink-wash paintings is currently underway at the Liu Haisu Art Museum. Xu Jinping, vice chairman of Shanxi Artists Association, who has been involved in traditional ink-wash paintings for over four decades, loves to mix the application of colors in combining Western oil painting and the Oriental art genre. The subjects under Xu’s brushstrokes vary from landscapes to birds, flowers. He is particularly enamored with Taihang Mountain. The mountain, running down the eastern edge of the Loess Plateau in Shanxi, Henan and Hebei provinces, was a base for the Communist Party of China during the War of Resistance Against Japanese Aggression (1931-45). Its towering peaks, deep gorges, waterfalls and spectacular caves also gave birth to the ancient style of landscape painting. Jing Hao (AD 850-923), considered as “father of China’s panorama landscape painting,” lived a reclusive life on Taihang Mountain to conjure up with his masterpieces. 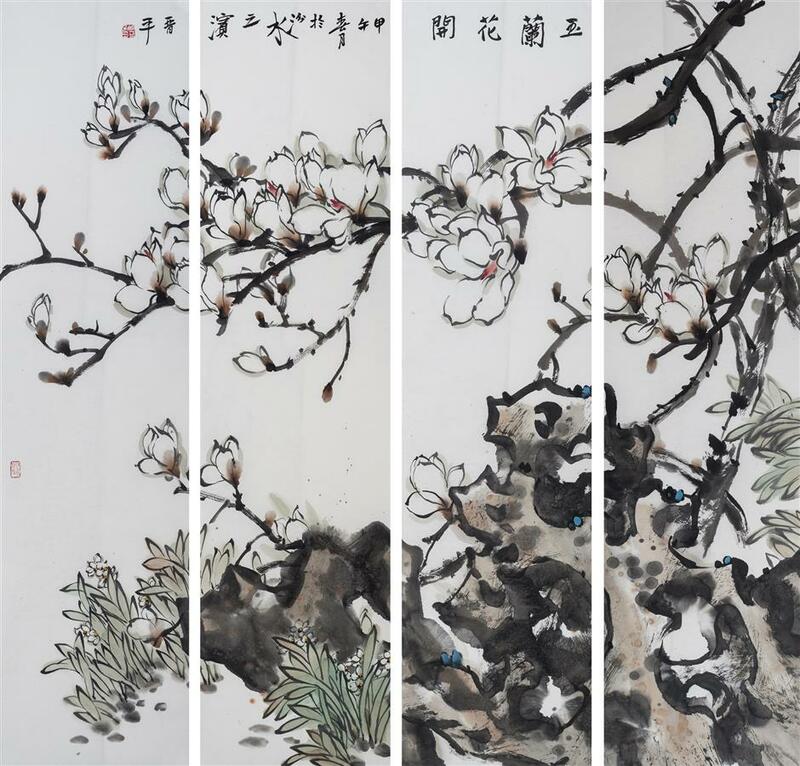 Xu skilfully used magnolia flower to offset the grandeur and power usually displayed by other artists. It unwittingly adds some elegance and softness in his works.